When you purchase a design through ZukieStyle you can guarantee every care will be made to ensure its safe arrival to your door. You may pay using Paypal/Credit/Debit Card or by personal cheque. You now no longer need a paypal account to pay via paypal, simply continue the transaction and it will allow you to pay by credit/debit card at the payment page. If you have ordered a commission, payment will be requested before fabric is ordered. If you would prefer an alternative method of payment arrangements can be made. BACS is also accepted on request. Personal Cheque: Only once the cheque has cleared will the product be sent. Cheques must be made payable to ZukieStyle. 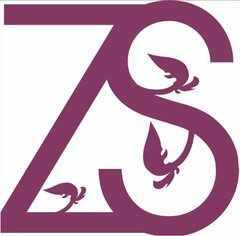 All products from ZukieStyle will be sent by 1st Class Royal Mail or Standard Airmail delivery. Please allow 1day for packing & 7-14days for delivery. Refunds: Will only be given should the product become damaged within 10days of receiving through no fault of the buyer. Products are sent as new when leaving ZukieStyle. As items are made to order they are non-refundable, however exchanges may be made if discussed before their return. Postage: In the UK orders under £5 will be charged £1.50 postage, orders between £5-£20 will be charged £3.50 and anything between £20-£50 the sum of £4 will be applied. For orders overseas the charge is between £2-£5. Products are sent by Royal Mail standard 1st class delivery for under £20 and anything over will be sent recorded. Postage is FREE on all orders over £50 for the UK & Overseas. Christmas: We all know occasionally during the festive period items can get delayed, please ensure you order your product in plenty of time for Christmas. State the item you would like and any extra information you require. Show team spirit with our original Zukiestyle Varsity bandana. Dinky wears the Varsity bandana in X-Small for cats - slip over collarin Cadbury's Purple & Yellow.